Update: Axon 7 official Android 8.0 Oreo official Oreo Beta firmware update has been leaked with several new features. Here we have the full stock firmware update files for the same. See how to download and install official Axon 7 Oreo OTA update. It comes with new firmware build number ZTE A2017GV1.3.0B01 for the ZTE A2017G variant. We also have the Oreo update for ZTE A2017V variant as well. is now live with Axon 7 is the most popular device from the emerging smartphone manufacturer ZTE. The device became quite popular for its stunning hardware specification. Nos, the device is again in news lately as ZTE promised Android 8.0 Oreo update for Axon 7 and all of its variants. As per the rumors, the official stable update is due this month. However, the Oreo beta update for Axon 7 is already available and one of the users have already captured and released it for us. Here we will show you how to download and update Axon 7 to Android 8.0 Oreo official MiFavor firmware. The Oreo update comes in as a Beta build for the Axon 7. Hence, you may encounter some bugs as well. It is wise to first see what’s working with the update. 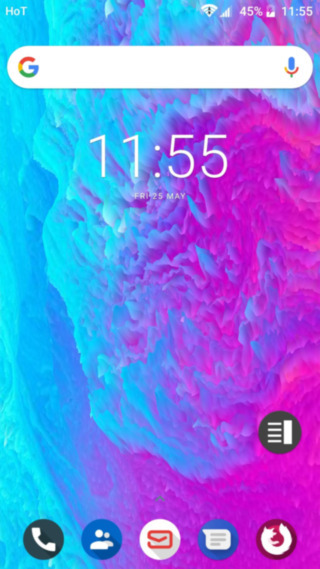 However, the plus point is that it is based on stock MiFavor UI. The developer has made some changes, got rid of the bugs, and made the firmware as stable as possible. The fingerprint sensor is now working and fixed the display issues with some device. 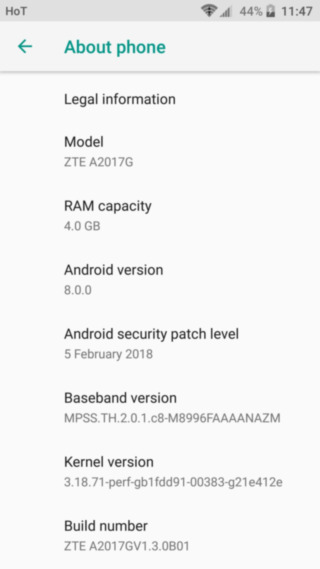 It is based on firmware build number ZTE A2017GV1.3.0B01 and A2017V3.0.0B01; which is the first build for Oreo beta. You will also find some packages which can fix the radio on A2017G and A2017U models. Though the below full stock firmware files will work just fine, here we have another official leaked Oreo Beta for the ZTE Axon 7 A2017G variant with firmware build number A2017GV1.3.0B01. Bugs and how to fix it? Magisk may not pass Safetynet? (ctsProfile: False). Download and flash this safetynet fix zip. Google play store may show as Uncertified device. The above zip will fix that. Your device is now certified. How do I disable force encryption? Warning: Doing so will doing so, YOU’LL HAVE TO PERFORM A WIPE DATA including everything from Internal storage. Take a full backup. Replace the file at the following location with this file here. OR, flash this V3.1 zip via TWRP. V2.1 is here. If AdAway cannot install hosts file, Open Magisk -> Settings and select Systemless hosts. How to install Axon 7 Android 8.0 Oreo ZTE A2017GV1.3.0B01 firmware update? The Bootloader on the Axon 7 needs to be unlocked. See how to unlock the bootloader of your Android phone. Make sure you have installed the latest TWRP recovery on your Axon 7 device. 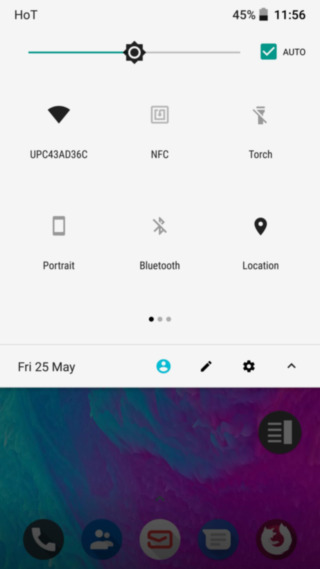 Download the official TWRP from here and see how to install custom TWRP recovery. Fully charge your device’s battery. Your device warranty may be void after flashing custom ROM and we won’t be held responsible. Go through the requirements from above. Download the Axon 7 Oreo ROM from above. Also download latest Magisk zip. So go to Wipe > Advanced wipe > and select partitions such as system, data, cache, etc. Do not wipe internal storage. Otherwise, do a factory reset from TWRP. Flash the new Oreo ROM for Axon 7. Flash the latest Magisk zip if you want to root. How to update Axon 7 ZTE A2017V to Android 8.0 Oreo? The following firmware builds are extracts of ZTE A2017V. However, it also works with other Axon 7 variants like A2017G and A2017U. Other variants need to be tested. You may also like the latest ZTE Axon 7 Android 7.1.1 Nougat stock firmware update. Some devices may not receive radio or network. So you will need to flash the Nougat modem onto Android 8.0 firmware. This is compatible with A2017G and A2017U models. You can either flash it using TWRP recovery or you can simply extract the firmware zip above, and replace the NON-HLOS.bin file with the new modded model zip from below before installation. Disclaimer: This is a beta update and may not work perfectly on every device. We won’t be responsible for any of your actions. Step 1: The first thing you will need is a Windows PC, USB cable, drivers installed, and Axon 7 with proper variant. Step 2: Install the MiFlash tool on your PC from above. You will need the latest Axon 7 USB drivers which will be installed automatically. Step 3: It is time to reboot device into EDL mode. To do so, first turn off your device. Make sure it isn’t connected to PC just yet. Step 4: Now plug in your device to PC such that the volume down key (or volume up) and power keys are pressed at the same time. Step 5: Your device should now enter the EDL mode. This is also termed as the download mode. Step 7: Now run the MiFlash tool and browse through the PC and choose the Axon 7 Oreo folder you’ve downloaded. Step 8: Click Refresh on MiFlash tool and you will see your device listed. Step 9: Go ahead and flash the Axon 7 Oreo firmware. Step 10: Wait until installation is done. Your device will automatically reboot into system once done. That’s it enjoy the Oreo update on Axon 7. Hey there, thanks for writing this up. Just wanted to ask if you think this will work on the Japanese version of the Axon 7?